Many of you are probably making New Year career resolution at this time of the year. Some of you may even be searching for your calling. Getting impatient with your search and even anxious about it. You feel lost, dejected and on the verge of giving up the answer. Many people think when it comes to knowing one’s calling, it is an end point. An oasis of sort where one just sits back and enjoy its abundance. As if there is no need to work hard anymore. But is it true? This holiday season find some time amongst all the merry and on your New Year career resolution. 1. Is This Your Life Now? Regardless if you know what is your calling or not, while striving for the answer to your calling – how have you treated the present circumstances and how have you made it worth your time? Let’s take your current job for example. What do you do everyday? One can only guess that the majority of people out there when faced with challenges of their daily job complain and mull about their dream job. Some will think if they are working on their calling now they will enjoy their work and make their life productive. Some of you who feel you know what is your calling – and it may well be – harbor all the anger that daily work puts you through. And it builds up everyday. You want to get out but for one reason or another you dare not take that leap. In which case, it is your fault not your current job’s doing. Frustrations with challenges – real or perceived – turns into anger and anger manifests into complains and outbursts. All these will hurt your reputation and those who care for your well-being. Friends and colleagues want to say to you “shut up or fix the problem”. The sad part is you do not even have the privilege to hear this because people are afraid of the repercussions, the wrath of your anger. All these while you keep asking yourself what is your calling? Or you keep telling yourself you want to answer your calling. 2. 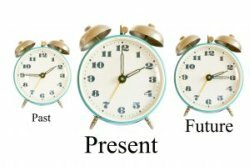 What Does The Present Teach You? So, what if you do not know your calling yet? Has it ever occurred to you that perhaps whatever you are being put through now is to prepare you for your calling? Or a necessary process that is part of your journey of discovery? Please do not kid yourself that once you start work on that purpose your life is carved out to do, all will be smooth. That you would be able to kick back and relax. Think again. When making New Year career resolution, do this. Resolve to learn the values of what you are doing now. Learn what your current job is truly teaching you. Some truths and values are universal regardless of the situation. Whether it is a tough boss, a client or staff. Just because you have discovered your calling or assuming you are working on it doesn’t mean challenges fade away. On the contrary, they become stronger. What makes you think you would be able to live up to the challenges when you cannot even handle them well now? Challenges abound in every vocation. This New Year career resolution, focus on the now. If you do not focus on the now, how do you know your calling? Your answer is found now for you to act upon the future. If you are constantly chasing, seeking, asking and not focusing – how can you clearly see what is your calling? This New Year career resolution, choose to focus on the now no matter how mundane. Choose to focus on the positives with your work. It is like stirring a pond of clear water, if you keep stirring the water will become muddy and you won’t find the answer. Let it sit, the mud will settle and the answer will appear. That includes setting time aside to do it. Sometimes we do not know the answer because we do not put aside time to really focus on it. If you do not focus now, how would you know the answer or recognize it when it appears? A rolling stone gathers no moss. Concentrate on what your current work teaches you, take those challenges and persevere. You must have fierce resolve to do what you set out to do. When making this New Year career resolution resolve to persevere. The value of perseverance is teaching you the patience of waiting for your calling, if that is what you are waiting. It teaches you to endure, as fruits of your labor aren’t instantaneous. You need time to see your efforts pay off. You cannot move from one thing to the next, one job to the next and say your effort is always wasted. It is because you do not stay long enough to enjoy your fruits. This New Year career resolution; make sure you tame your restless thoughts. Those thoughts that make you want something now and another moment you want another thing. If you cannot focus on the now, then your energy is wasted and your concentration is scattered. How will you know what is your calling? How do you tame your restless thoughts? Focus and concentrate on what the challenges teaches you. Once you have decided on what you want to do, the challenges will start to appear. Therein lies the value of now. Your challenges will come from everywhere. These are tests of your resolve to see if you will waver or falter. But before you know what is your calling, make this New Year career resolution to learn from the present. The answer is in the now. 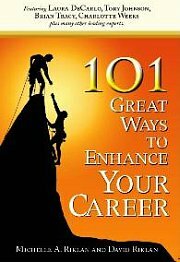 New answers to discover your new year career resolution and making a difference - now.